I recently got a new app called “Field Trip” on my phone. It keeps track of where I go, and it pops up notices of interesting things to see and do in the area. So yesterday, it popped up a notice about a piece of art on the wall outside the Los Angeles County Hall of Records in downtown Los Angeles. 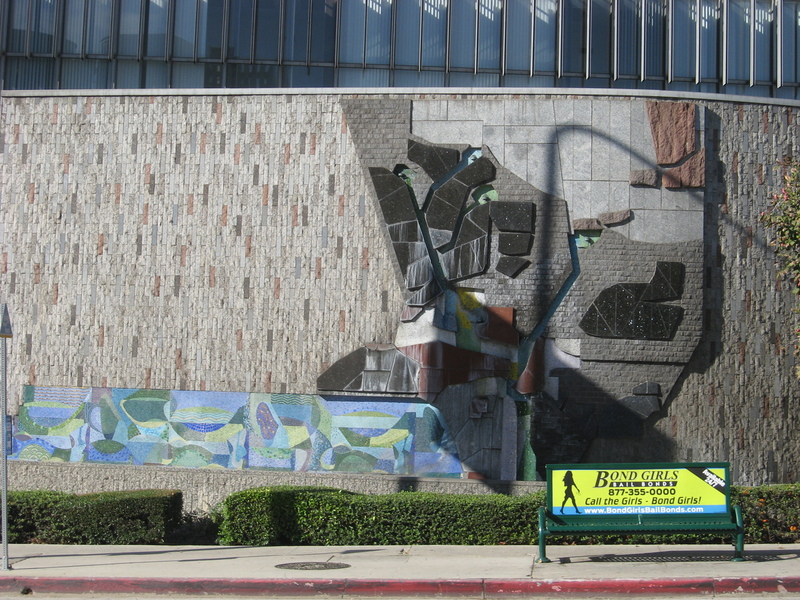 The piece is called “Topographical Map”, and it is a stylized depiction of Los Angeles County. In the process of reading about this, I found out that the Hall of Records is one of only a very few office buildings designed by Richard Neutra. For some time, I’ve wanted to go see the houses on Neutra Place in Silver Lake, so putting these two together to make a tour seemed like a perfect combination. We rode into downtown by the usual route, down Huntington Drive. 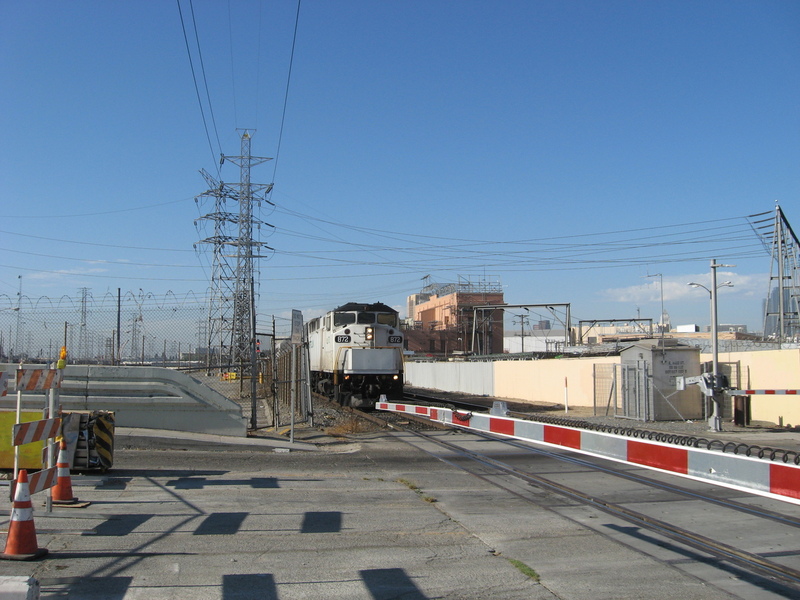 On the bridge over the L.A. River, we had to stop for a Metrolink train. That’s the first time we’ve ever seen a train going by on that particular crossing, which always seemed odd, since it’s right near Union Station. 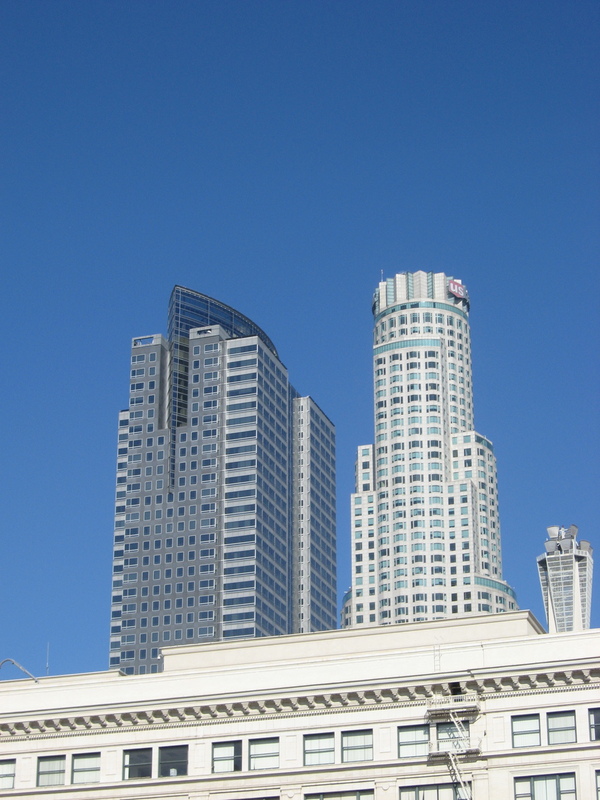 When we got to downtown, we went to the Hall of Records. “Topographical Map” depicts the geology and geography of Los Angeles County, complete with channels carrying water to represent the Los Angeles Aqueduct and the California Aqueduct. We also took a few minutes to look at the Hall itself. 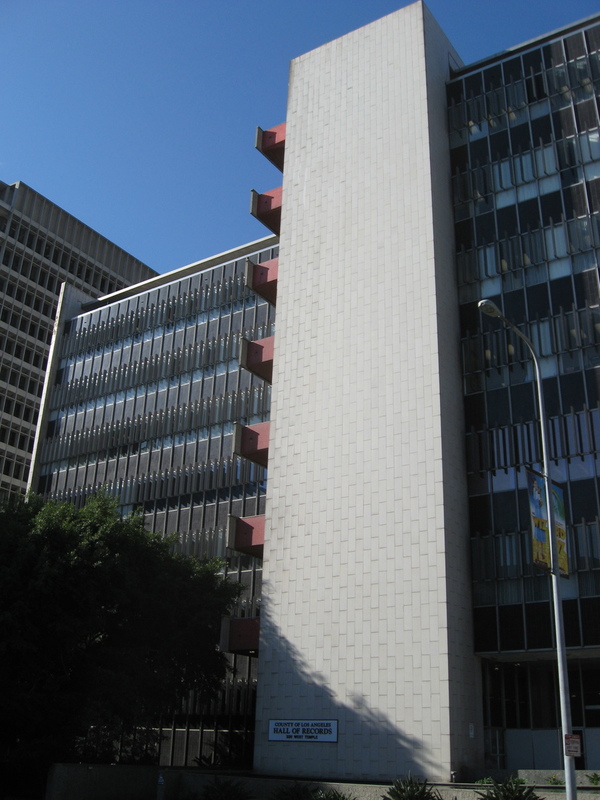 It was built in 1961, and bears all the hallmarks of the modernist style of architecture that Neutra was known for. 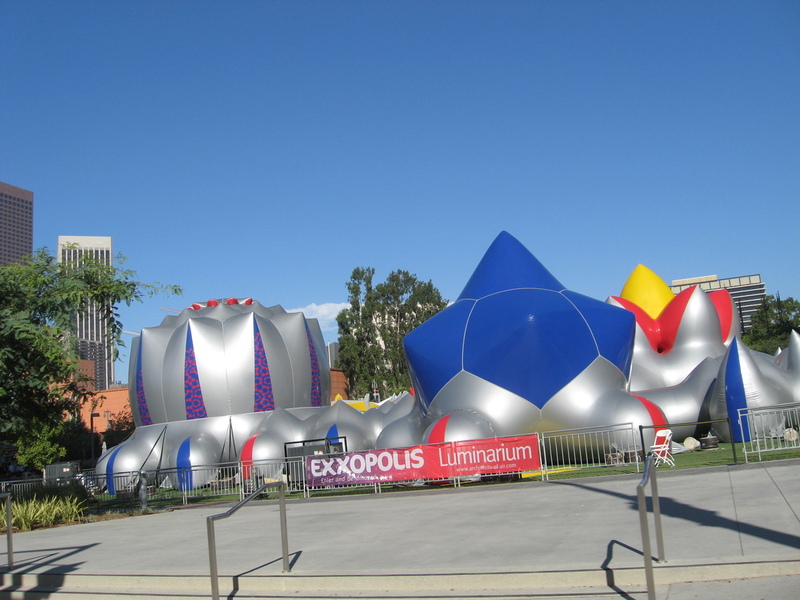 Continuing through downtown, we passed Grand Park and “Exxopolis“, across from City Hall. 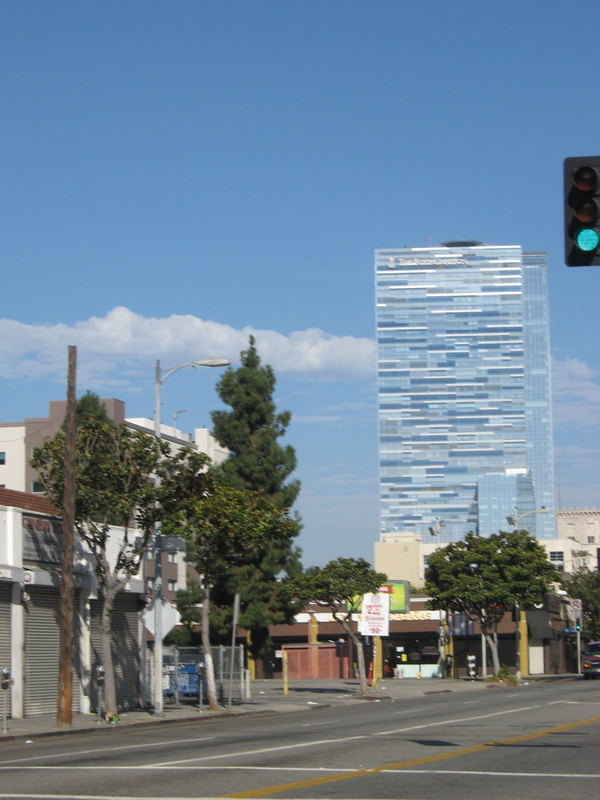 We rode down almost to USC before heading west on Adams. We made a loop, coming up in Hancock Park for snacks at Noah’s Bagels in Larchmont Village. From there, we headed back east to Silver Lake and Benton Way. 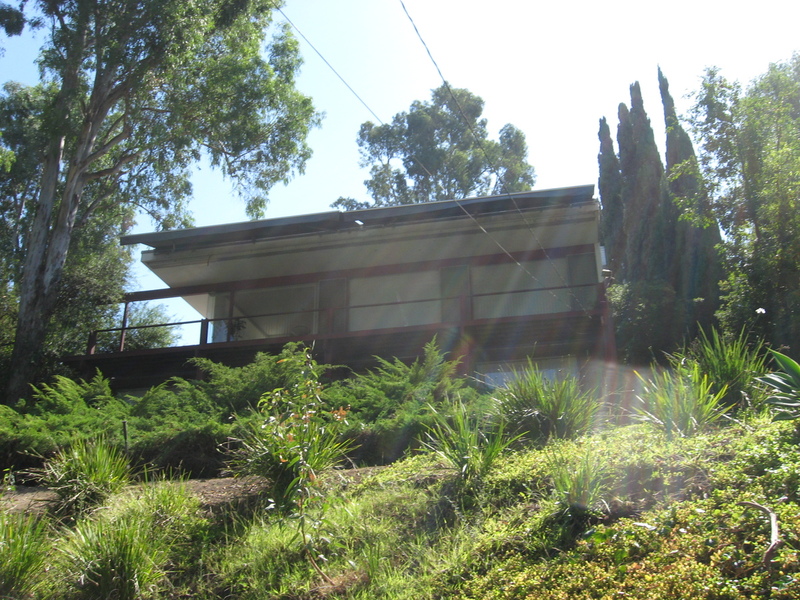 A short detour off Silver Lake Blvd brought us to Neutra Place. 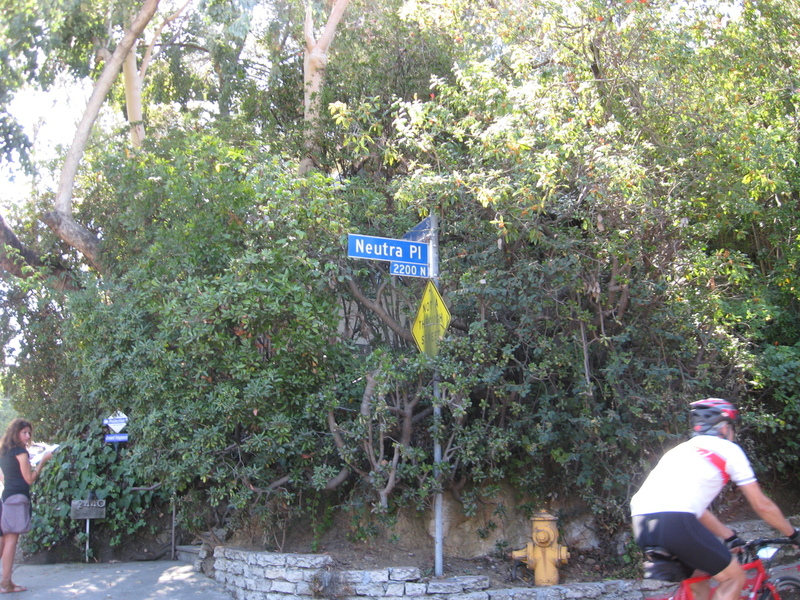 There were several Neutra houses on that short street. The final part of the ride was our usual route home by way of Eagle Rock. We were all glad that the heat wave from last week had ended, and it turned out to be a very nice day for riding.